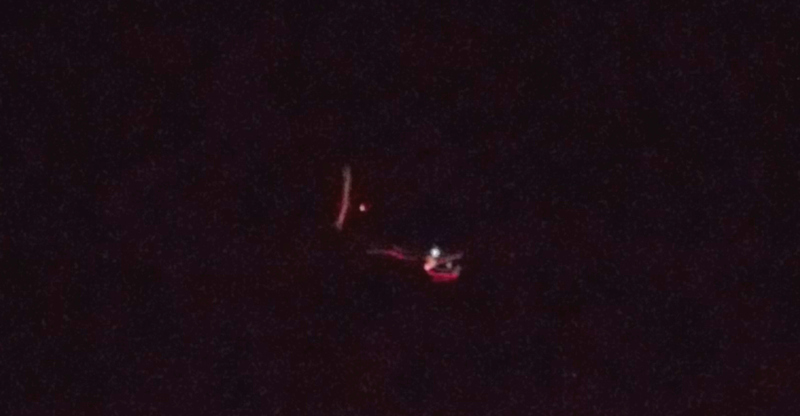 UFO SIGHTINGS DAILY: Red UFO Over Gainesville, Mississippi On Nov 2, 2015, UFO Sighting News. Red UFO Over Gainesville, Mississippi On Nov 2, 2015, UFO Sighting News. 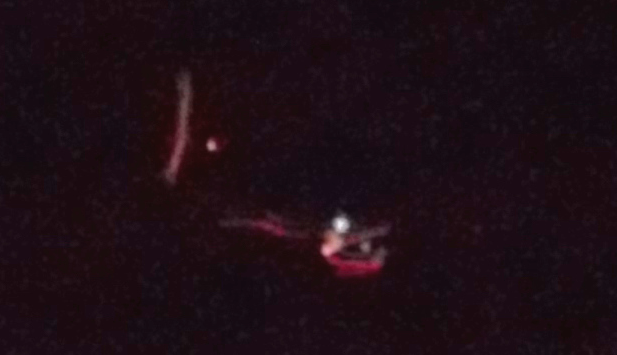 Here is an unusual photo of a triangle UFO over Gainesville this week. In the photo, the camera seems to have moved while take the photo causing the UFO to appear longer than it is. If you or someone you know has seen this UFO, please let us know. Me and my boyfriend had gone outside. Looking around and seen what at first I thought could of been a star. But it was very large and very bright. Then it started rising up very very slowly. Coming our direction. I started taking pictures of it. It almost looked to be a triangle. Very bright lights. So I have a couple of photo's of it. I think they are okay photo's. Was excited to see something. And someone was actually with me to witness it. What he could see of it. He just had his eyes worked on and has no glasses at the moment. But he did see something with me. I lost sight of it going east. Then I couldn't see it anymore.